Hello again, for those of you who are new to our site, I’m Sean and I handle the tech and marketing side of I Heart Arts n Crafts. In our monthly income reports you can expect an overview of our different income sources along with traffic and referral details. I also get a chance to explain what I have planned for the future along with what I’m currently working on. Hopefully you can gain some helpful information or even some inspiration from our Income Reports to start your own craft blog. Don’t forget to leave a comment if you have any questions! 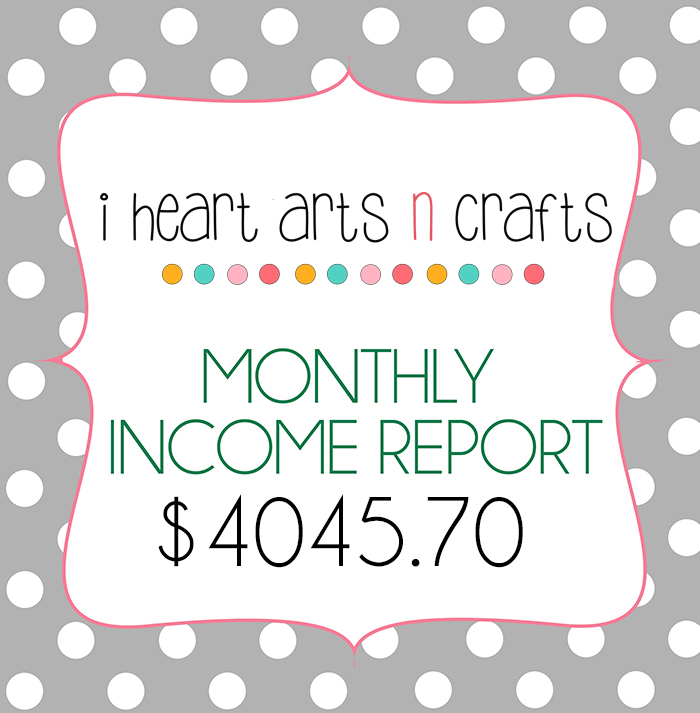 As you can tell from our revenue streams listed above, December was a huge success for I Heart Arts n Crafts. In fact it is our best month to date! 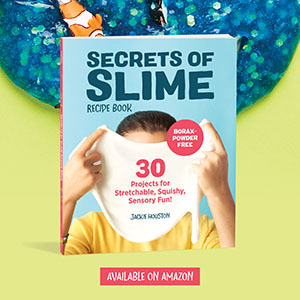 Besides our constant focus on growing our social media presence, a lot of the success can be attributed to some of Jackie’s holiday themed crafts going “semi-viral” on Facebook and Pinterest. One thing to take away from this success is that quality is much better than quantity. You may of noticed that we completely rid ourselves of Adsense and stuck with using The Blogger Network for all our ads. Like I mentioned in November’s Income Report, joining The Blogger network was one of the best things we’ve done and just looking at December’s ad revenue proves that. 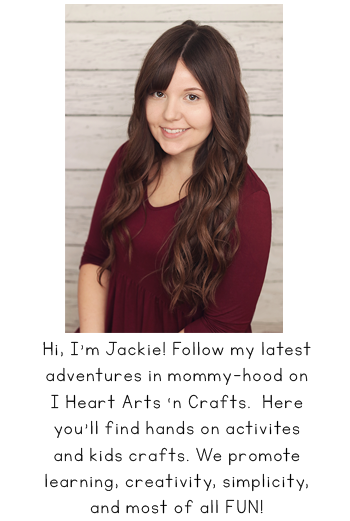 Jackie has also been getting a lot more offers for sponsored posts and giveaways. December’s sponsored posts earnings are double what they were in November. I’d also like to mention how great giveaways are for your site. Besides the benefit of sometimes getting compensated for hosting the giveaway, they can be great tools to gain a lot of new followers and email subscribers in a short amount of time. I don’t really have much to say in regards to December’s traffic as it is very similar to November’s traffic. Although I would like to point out again how happy I am to see our traffic from Google climbing the list of our top referrals.Even though our traffic from Google will slowly decrease as the holidays come to a close, it’s nice knowing we don’t have to solely rely on Facebook and Pinterest for our traffic. With the holidays coming to an end, we’re expecting our traffic to suffer a loss in the next coming months. You can already see a drop in traffic from our analytics posted above. However, we aren’t disappointed what so ever with our drop in traffic. During the holidays we started taking advantage of all the traffic coming to I Heart Arts n Crafts. We made changes to the site to help turn a lot of our readers into followers and email subscribers. In a matter of two months (November and December) our Facebook grew from around 2,000 Likes to a whopping 9,500 Likes, along with a very engaging audience. Our Twitter followers even grew from around 2,000 followers to 5,000 followers. Thanks to this growth we’re already starting to see a slow recovery in traffic for January. Before I end this Income Report I wanted to give everyone a little tip that has been extremely helpful in recovering our traffic. Revive Your Old Content! Any craft, recipe, or just about any other article that isn’t holiday themed can be revived for more traffic and you never know, one of your older posts might just hit the traffic jackpot! Make sure to enter your email address below to subscribe to our Blog Marketing Newsletter for some helpful tips, guides, studies, and more! Way to go & KILL it with the sponsored content! It’s so nice to see the increase from month to month too. I also agree about reviving old content – I’ve been in the process of going back through some older content on my sites and figuring out ways to refresh it, make it evergreen and drive new traffic to it. For some older posts that didn’t already include them, I’ve been using Canva and Pixelmator to create new Pinterest optimized images for those older posts. Long term I know it will pay off! Hey! I just came across your site from a compilation of income reports. Congrats on the fantastic growth! Did you decide to stop doing income reports? I have been reading through yours and found them really helpful. Are you still enjoying Blogger or is there something that you’re liking better? Thanks! Hey guys! Congrats on another awesome month! Your growth is truly inspiring. I’d love to know more about what strategies you’re using to grow your social media following, if you’d ever like to write a post about them 🙂 Happy December!